Give that woman a hand. And a sock. The best life advice I've ever been given came out of a chance conversation with a professional sock puppeteer. 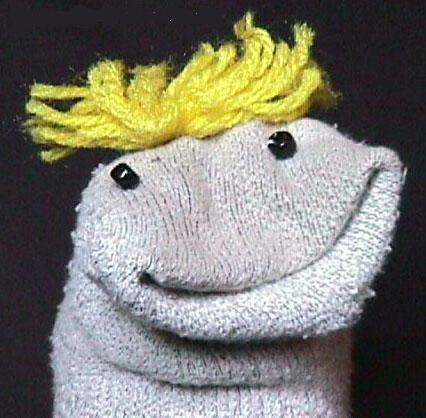 "What's the secret to being a great sock puppeteer?" I asked, doing my best to make smalltalk with a sock puppeteer. "When you put a sock puppet on your hand, don't just open and close your hand; push out your fingers slowly, and the lips will look more real, like actual speaking." And it totally works, as I'll prove in class later today, when Socky the Sock Puppet teaches the class all about public relations.